SKF India has launched its new competitive product offering - the ball bearing units-UC range - in response to the growing market demand. 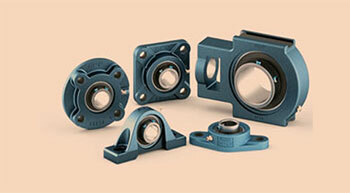 These ball bearing units combine the Japanese Industrial Standard (JIS) compatibility perfectly with SKF reliability. The solution is easy to install and is directly interchangeable with JIS equipment that are available in the market. The enhanced set screw locking system provides 16 per cent better holding power, and the rugged integral seal with flinger delivers effective protection in a highly contaminated environment.